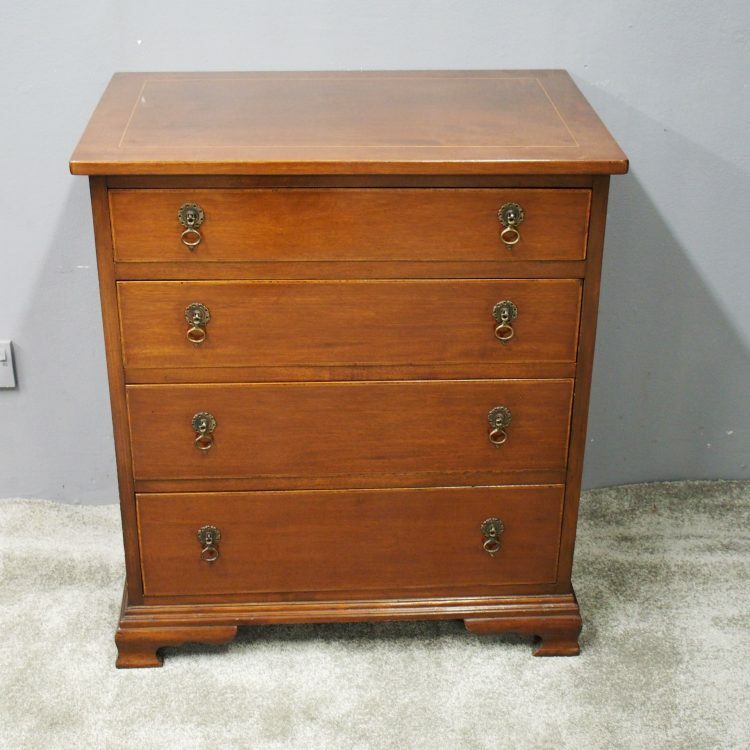 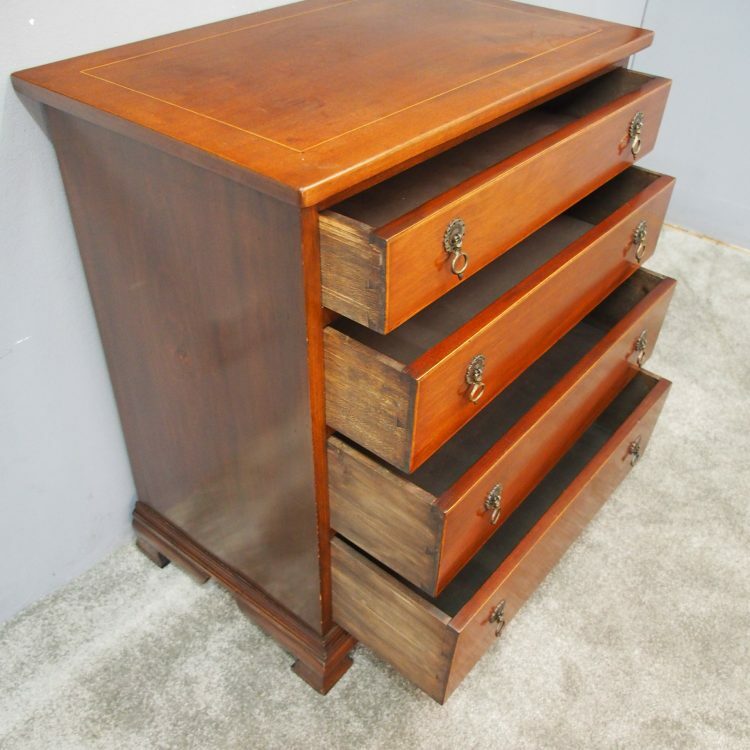 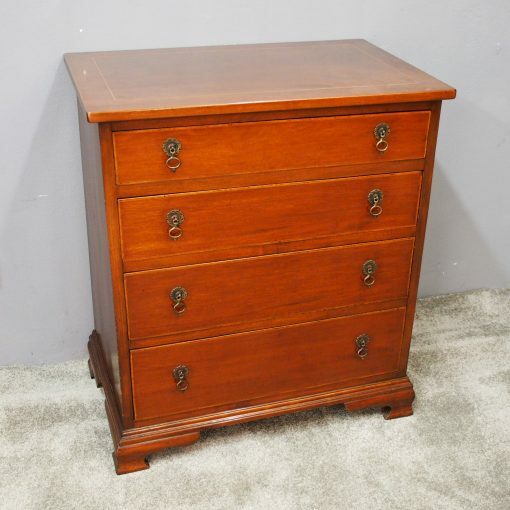 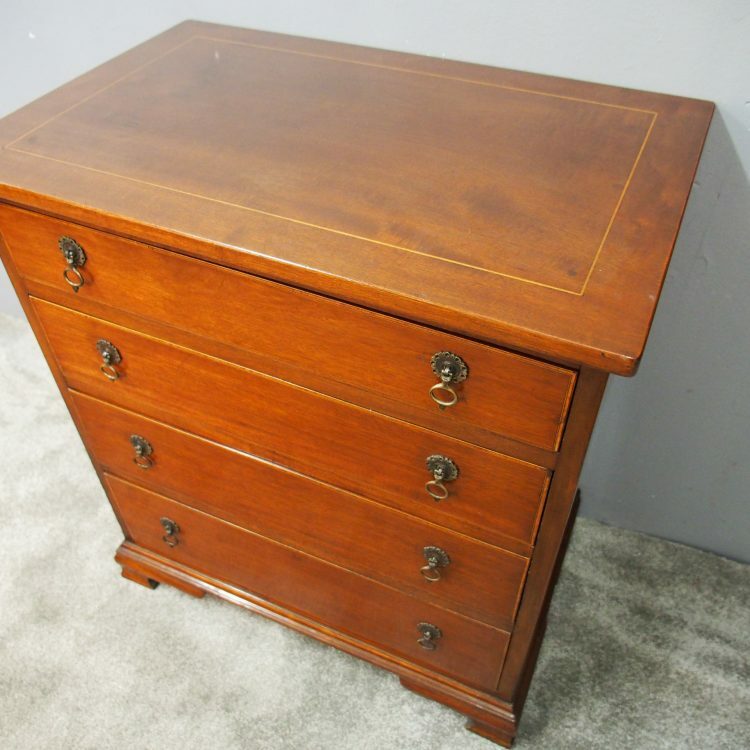 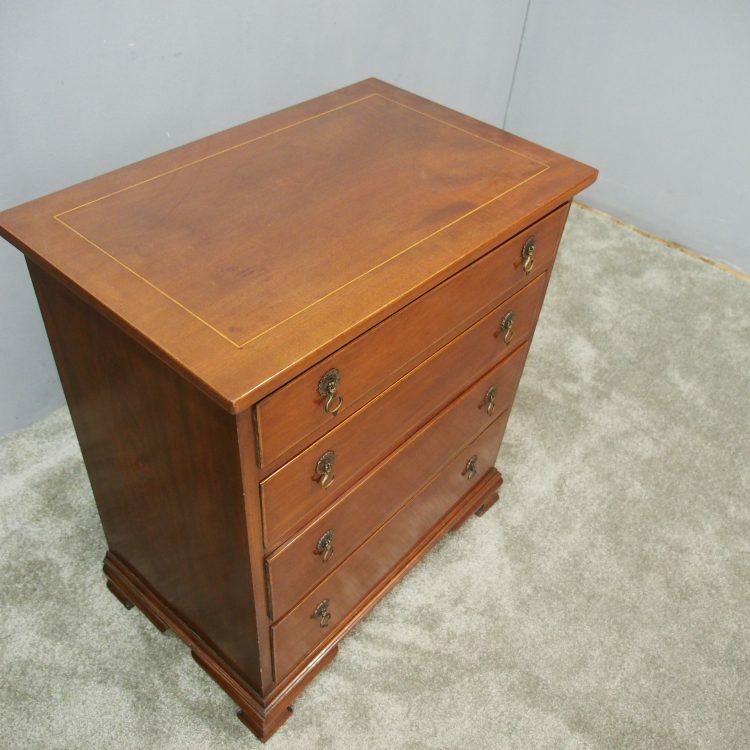 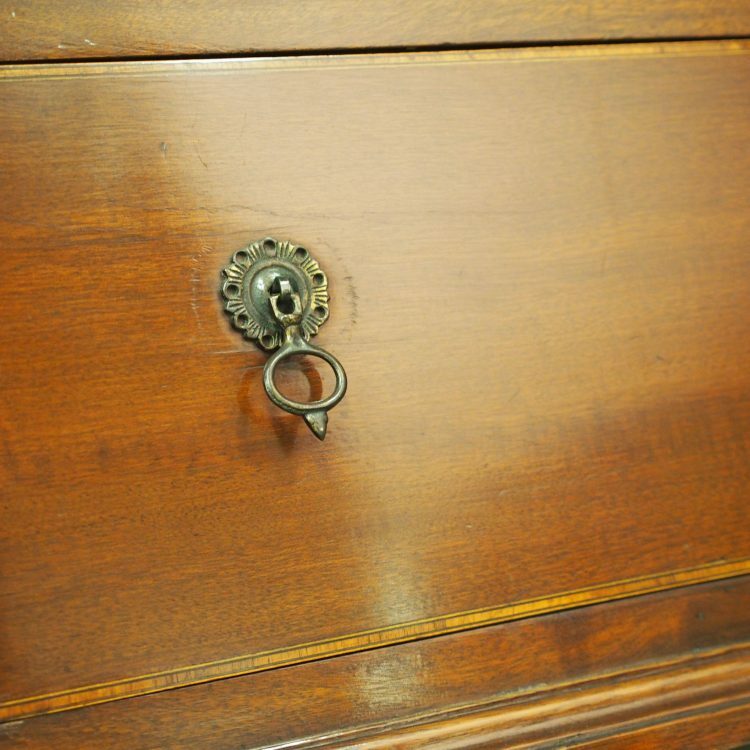 Circa 1910, neat sized inlaid mahogany Georgian style chest of drawers. 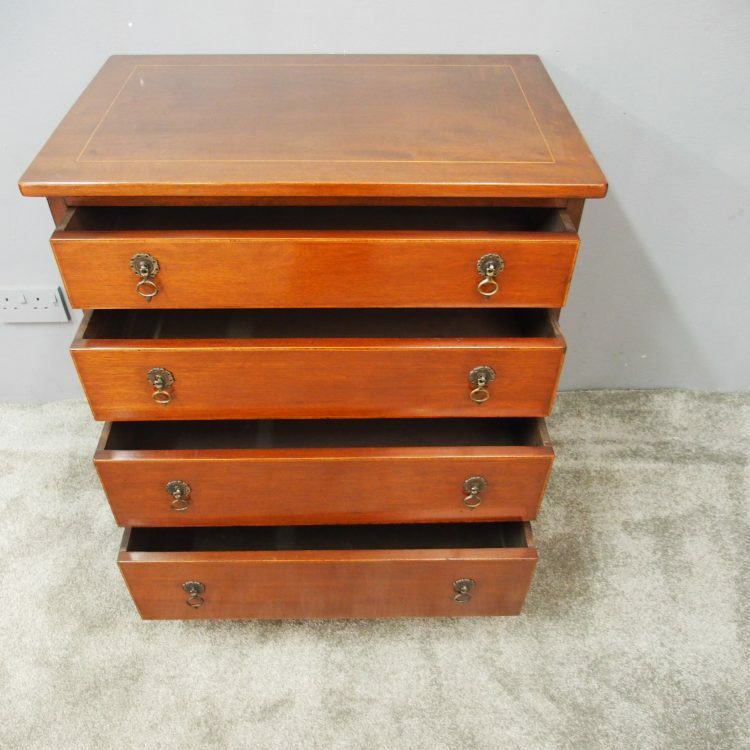 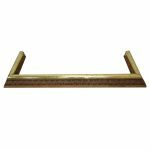 The rectangular top with moulded edge and boxwood string inlay is over 4 long inlaid graduated drawers with brass drop handles. 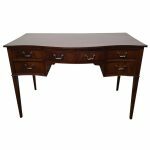 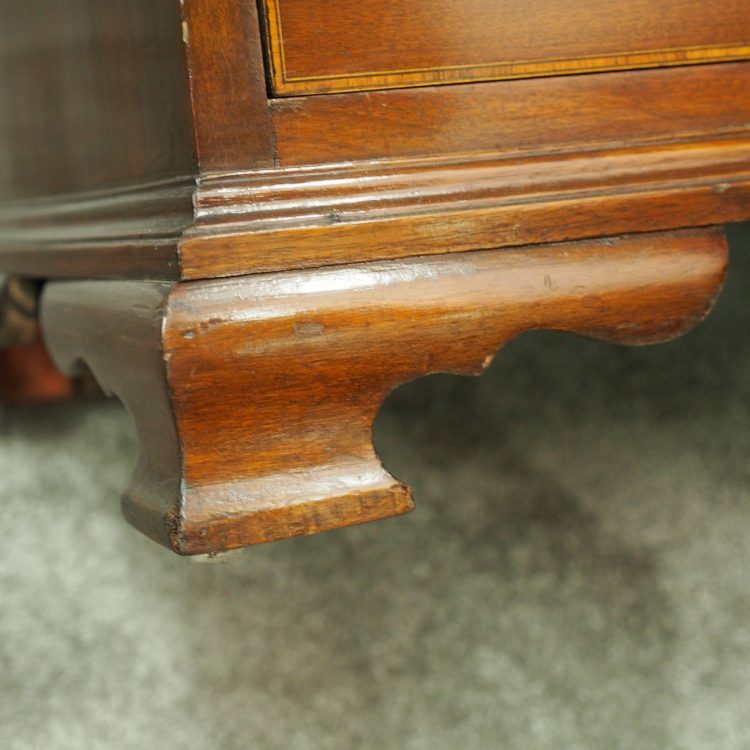 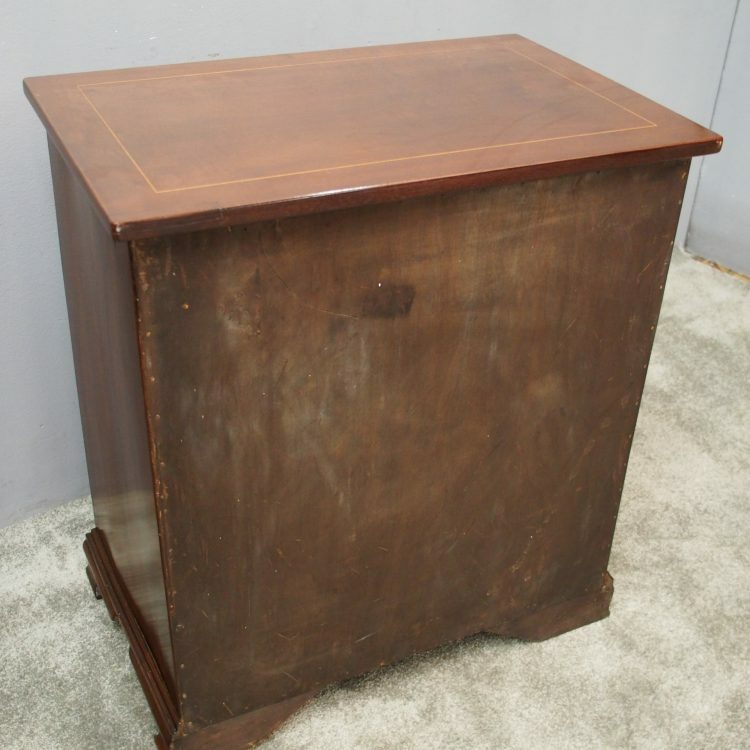 It stands on a moulded base and shaped ogee bracket feet.